Composed of a carefully hand picked blend of essential oils, Manuka Soap helps to cater the need of all skin types and their common problems. 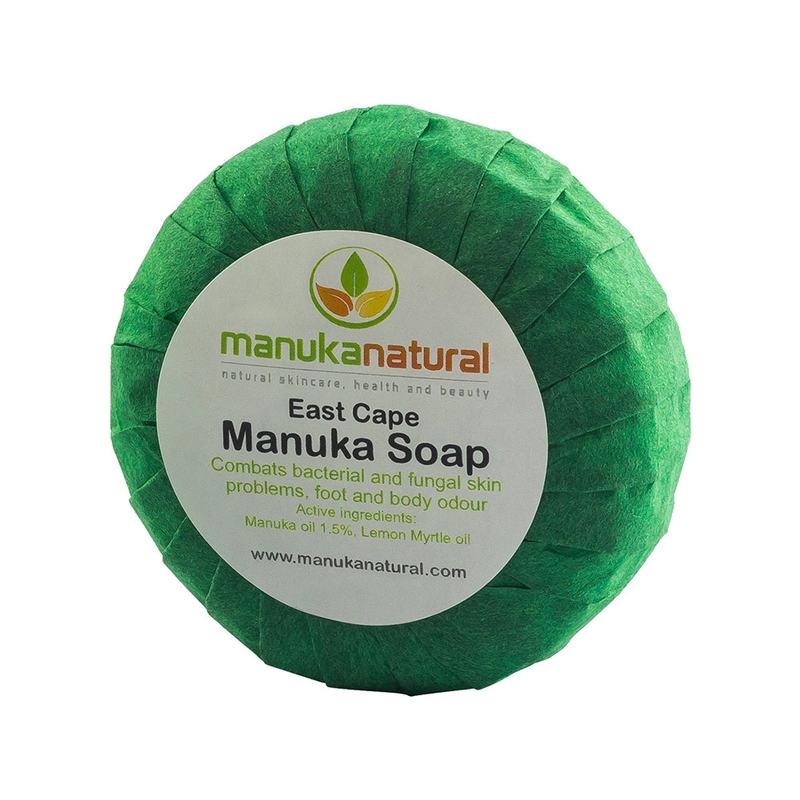 Manufactured by Manuka Naturals, this soap primarily focuses on cleansing and protecting the skin and has several other versatile potential uses. Men and women can use this soap on a daily basis wherein its fresh and mild aroma is an added perk. Stuffing your personal needs with ten different kinds of products makes it time-consuming and at times, it’s a tough choice to pick only one among them. As an alternative, here is a product that has versatile uses may solve your different needs. For example, this Manuka soap is designed to protect your skin and can also be used as a skin cleanser, moisturiser and skin softener. Skin infections can happen due to varied reasons and might arise with different symptoms. Here is a list of common symptoms that trigger on the skin and result in skin infections. Skin infections are contagious meaning they spread by direct contact or even touching the infected person’s belongings can spread some of a kind of skin infections. Other ways by which skin infections spread are improper diet, unhealthy hygiene, open injuries, regional difference, weather change and more. Minimum efforts at the personal level can reduce chances of skin infections. Regular baths, timely detoxification of the body, healthy diet, clean clothes, proper cosmetics or skin care products are basics to follow in order to avoid skin infections. All initiatives should be taken to keep the skin infecting microorganisms away from the body and the primary to-do is to use a sanitising soap daily. Composed of a unique blend of natural ingredients mostly essential oils, Manuka soap adds a complete protection to the skin and can be used every day during bath. Other than cleansing and protecting your skin, this one can be used as luxurious fresh body beauty soap that can also function as a natural hand sanitiser and boosts the skin's immunity against harmful germs and infections. The key ingredient of the soap is manuka oil extracted from manuka plant. Highest quality of manuka oil is prepared from a steam distillation process using wild harvested manuka plants of East Cape in the Northern Island of New Zealand. Manuka plants are specifically used from this region as it has been observed that they have highest levels of triketone compounds which enrich their antibacterial benefits. The Manuka soap also includes handpicked variety of essential oils that are proportionately combined for their potential benefits for all kinds of skin. For more information about the scientific studies, please click here. One of the renowned essential oils, tea tree oil benefits the soap with its antibacterial properties. For skin, tea tree oil helps to cure skin blemishes and unwanted odours. Very commonly found in natural soaps and creams, palm kernel oil skin softening benefits to the Manuka Soap that helps in getting rid of greasy or rough skin. Simultaneously it works for itchy skin and corn or cuticle problems. The primary benefit of adding lemon myrtle oil is its refreshing aroma that has been for centuries in aromatherapy. Lemon myrtle oil gets its aroma from its citral compound that also contributes to balancing bacteria levels of the skin. Till now if you have been using it for cooking, then from today you must add it to your skincare routine. Sunflower oil contains Vitamin E which nourishes and hydrates the skin catering its overall requirements. For the skin, lemongrass is said to have many beneficial properties. This is because it is said to be able to help with managing bacteria on the skin. It can also aid in cleansing and help to protect minor cuts from infection and irritations. Lemongrass oil soothes the irritation of the skin during minor cuts or infections. It has several other beneficial properties for the skin though bacteria management is its primary benefit and hence it is added to the Manuka soap. This essential oil can be great for the skin as it is known to help with irritation and redness. It can also help to soothe the skin, making it ideal for those suffering from dry skin issues. Dry skin is a common problem that becomes gross during weather change and cedarwood oil battles with this issue. Skin redness and irritation can also be treated with cedarwood oil. Full ingredients list: Sodium Palm Kernelate (Palm Oil, Palm Kernel Oil) ,Leptospermum Scoparium Oil (Manuka Oil), Helianthus Annuus (Sunflower) Seed Oil, Backhousia Citriodora Oil (Lemon Myrtle Oil), Titanium dioxide, Galactaric Acid, Citral (Lemongrass Oil fraction), Terpinen-4-ol (Tea tree Oil fraction), Cedrol (Cedarwood Oil fraction). Before applying, first, damp the skin with water and then massage the soap in a circular motion. The natural composition of the soap qualifies it for using all over the body or on specific areas if you want. Do avoid direct contact with eyes. The Manuka soap is meant for external use only.